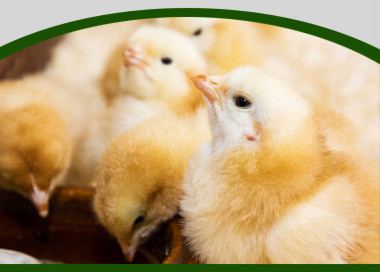 Our Broiler Feed is a complete formula for growing or finishing young birds to market or to laying age from approximately 10 to 18 week of age. The high energy content and high protein included helps to support muscular development and optimum growth. Our feed formula is all natural USDA Certified Organic. Proper nutrition is essential for growing birds that are strong, healthy, and productive meat yielders. Our feed provides essential nutrients for optimum development and contains all the necessary amino acids, vitamins and minerals needed to maintain healthy productive breeders and layers. Organic Corn, Organic Expelled Soy Meal, Organic Extruded Soybeans, Kelp Meal, Calcium Carbonate, Dicalcium Phosphate, salt, dl-methionine Vitamin A Supplement, Vitamin D-3 Supplement, Vitamin E Supplement, Vitamin B 12 Supplement, Riboflavin Supplement, Niacin Supplement, Calcium Pantothenate, Choline Chloride, Menadione Sodium Bisulfite Complex, Manganous Oxide, Zinc Oxide Ferrous Sulfate, Copper Oxide, Ethylene Diamine Dihydriodide, Sodium Selenite, Dried Aspergillus niger fermentation Extract, Dried Bacillus subtilus fermentation extract, Dried Trichoderma Langibrachiatum extract.